Believe it or not, I’ve never owned an analog synthesizer until 2017. Only digital and software synths. Now, digital music gear can be fantastic. It’s cheaper, easier, and faster than analog. Also, digital is more durable, more portable, and harder to break. But, there’s always a trade-off. In this case, it’s the sound - the very tone of a digitized instrument is by nature more ‘processed’ and ‘computerized’ than its analog counterpart. Why do digital instruments ‘sound digital’? Well, in a nutshell: digital music is composed of thousands of tiny “slices” of sound, but analog music has no ‘slices’ - just an infinitely-connected, smooth and organic set of waves and vibrations coming straight from Mother Nature. As a result, the analog tone often sounds superior. There’s currently no way around this limitation of digital. Just the way it is. I remember the first time I changed from a digital guitar amp to an all-tube (analog) amp. (It was a Laney VC-15, to be specific - which I still use today.) After 5 years playing only solid-state amps, the difference between ‘digital’ and ‘analog’ was night and day to me from the moment my pick hit the strings. My playing was immediately more expressive; my sound more nuanced and alive; my phrasing more evocative. The best word for analog sound, again, might be ‘organic’. I felt more physical connection with my guitar, my fingers, my amp, and the sound the whole combo was producing. I have no doubt that I became a better guitar player by switching to analog that day, and ever since, I have always preferred analog gear. As I began looking for my first hardware synth, I was immediately mind-boggled by the number of options available to me. With so many hundreds of incredible (and expensive) hard synthesizers to choose from, it was essential to set clear boundaries for what I wanted and didn’t want. My mission is to create original new music based on unique sounds that can’t be heard anywhere else. As a classical musician, quality of tone is also of the utmost importance. Put simply, this fucker needs to sound good. Furthermore, my main ‘restriction’ was financial: I’ve got a bit of spare cash available, but not a bag of money. Also, I was reluctant to invest too heavily until I was sure that analog hardware synths were a path worth going down. (This can easily become an addiction, after all). If you want the hard numbers, I was expecting to spend around to $750 for a simple, high-quality instrument. 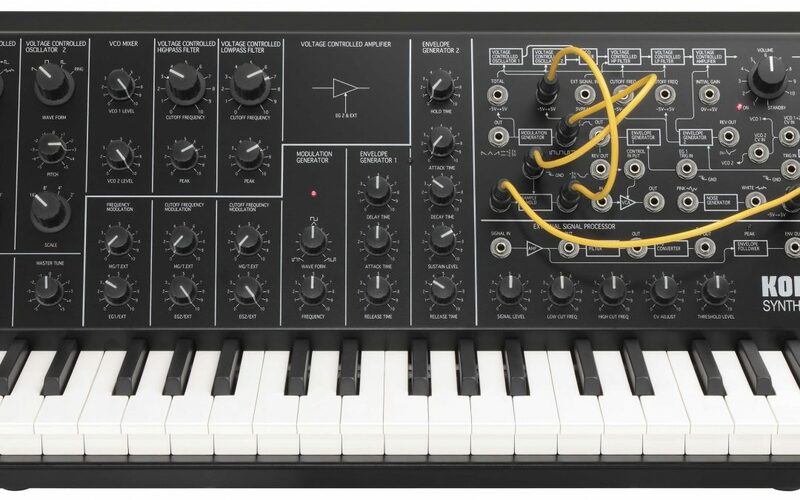 It wasn’t out of the question to go up to $1500 if the synth captured my heart and brain, but a $3000 instrument would have stretched my budget well past the breaking point. Finally, it was essential that the hardware synth have an excellent build quality. The controls and hardware unit must be sturdy and pleasing - a pleasure to touch, like the ivory keys of a fine vintage piano. A flimsy or uncomfortable tool is not fun to work with. Conversely, robust and tactile tools tend to encourage experimentation and creativity. Also, I don’t want synth repairs to eat into my creative time and budget. There was another consideration - the ‘must NOT haves’ of my perfect synth. I didn’t need a keyboard, since I already had a superior 76-key MIDI keyboard available from my Korg Triton LE. If my synth didn’t need a keyboard, that meant more money could go into the sound and build quality - the two factors most important to me. And, although I wanted a full-featured mono synth, I did NOT want to struggle with my synth to get cool sounds. It should have the bells and whistles, yes - but never at the expense of immediate accessibility. Don’t want anything getting in the way of inspiration. With such a clear description in mind, it became much easier to narrow my search for the perfect hardware synth to join my studio. Synth must NOT have an integrated keyboard. Synth must NOT be excessively complicated to use. Taken all together, my criteria told me that I should search for a highly-rated, reasonably-priced, module-only, monophonic analog synthesizer from a reputable builder. The sound and controls must be top-of-the-line. The synth should have a wide (but not excessively complicated) sound palette and great connectivity with my DAW. The price should be within $500 to $2000. Finally, the synth should NOT have an integrated keyboard, so I can get more sound for my money. For now I’ll spare you the gory details on the next stage of my research. It’s enough to say that, with a day or two, I found a steal on Craigslist for a used (like-new) Moog Mother-32 analog synth. The price was far below my maximum budget, which made it even more appealing. I haggled down to $450 cash, on a $600 new synth that’s already packed with great features for the money. This beautiful little module had already made my short list from the beginning, and it stayed firmly planted there after I bought it. Writing about the sound of the Mother-32 is a whole ‘nother article. For now, just click over to my first-night demo of this glorious analog synth, and expect to hear it a lot more on my coming tracks. Have any questions about picking your first synth? Let me know in the comments below!